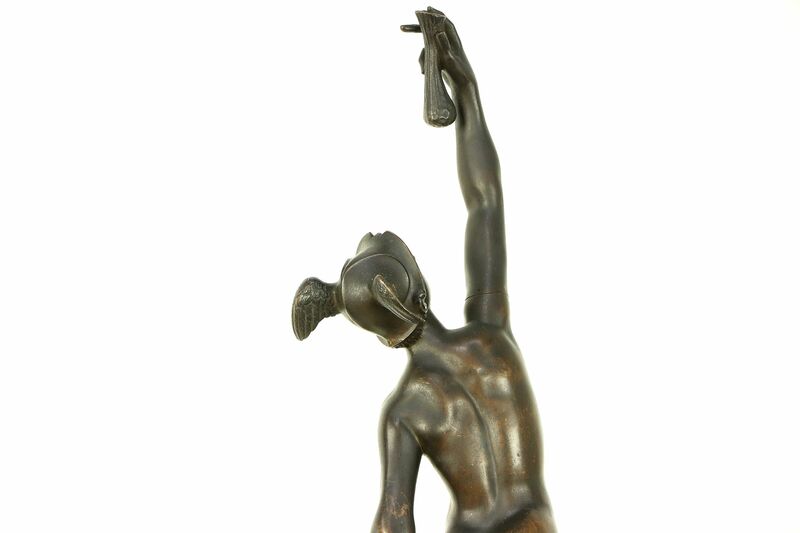 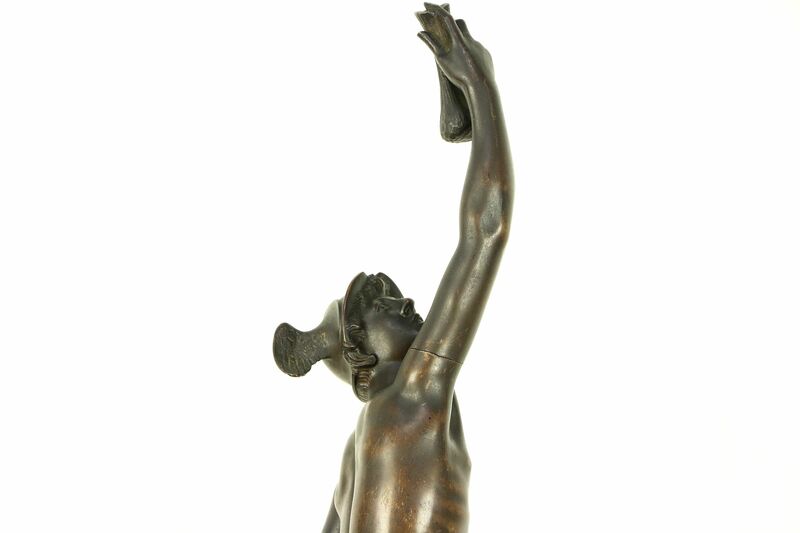 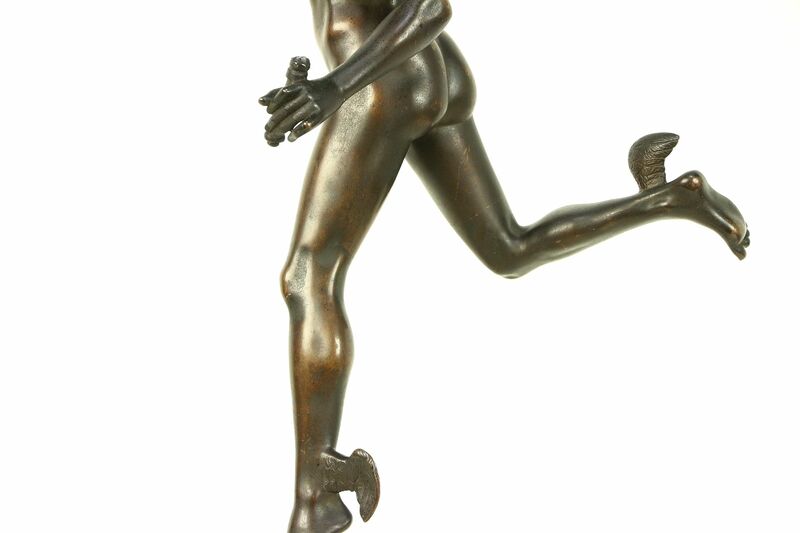 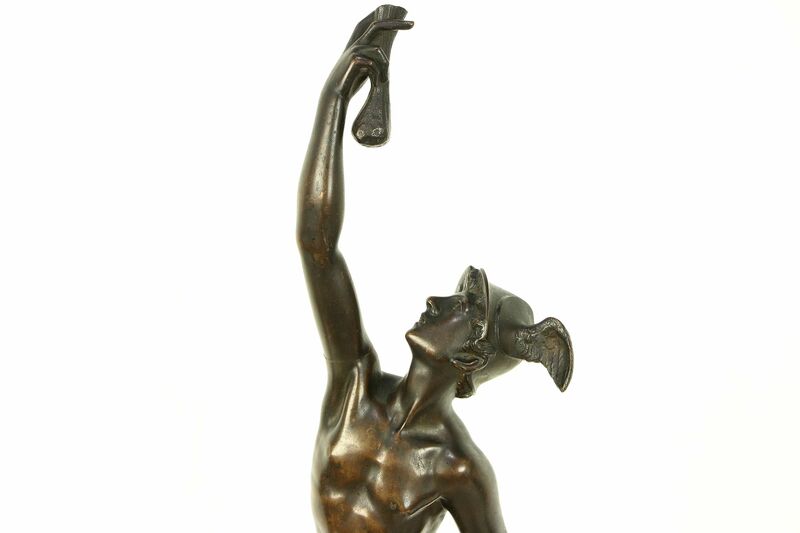 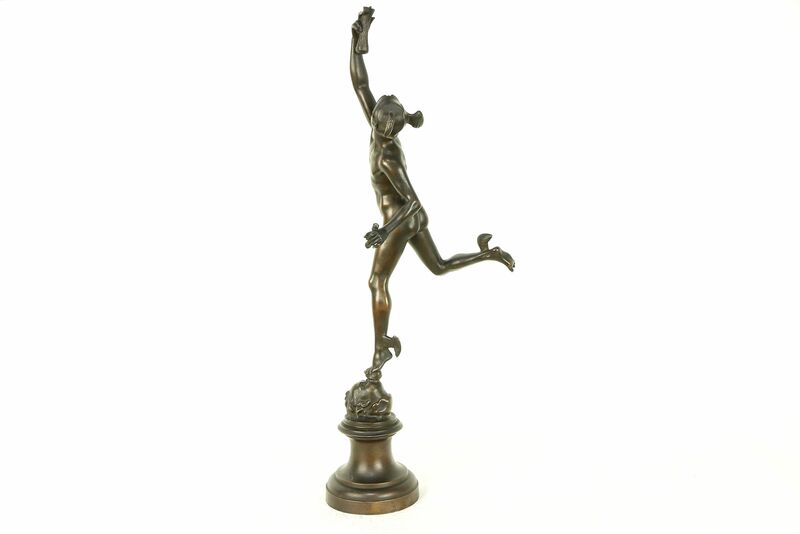 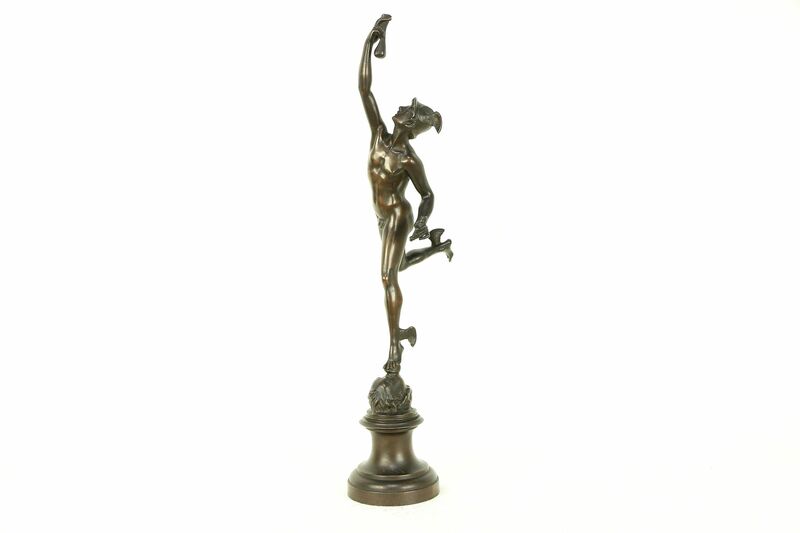 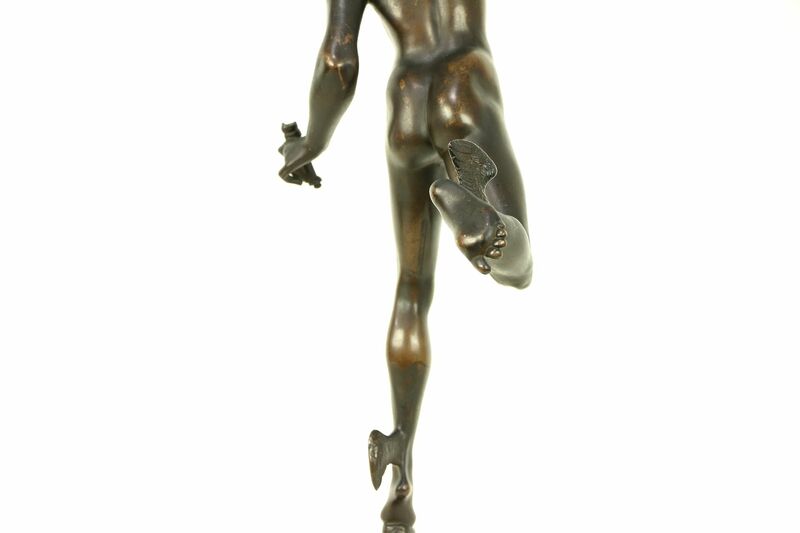 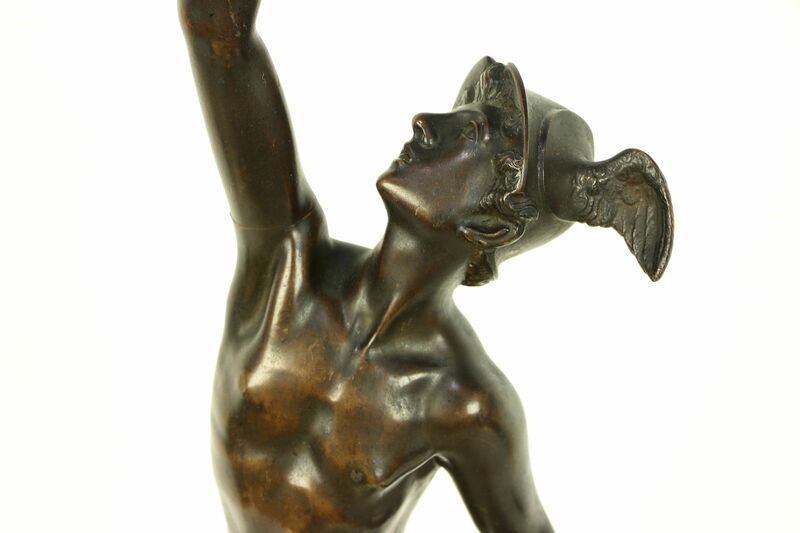 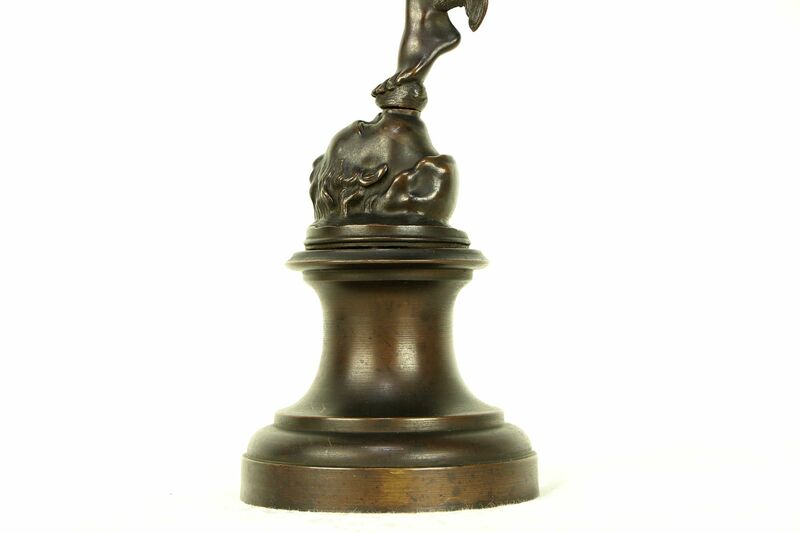 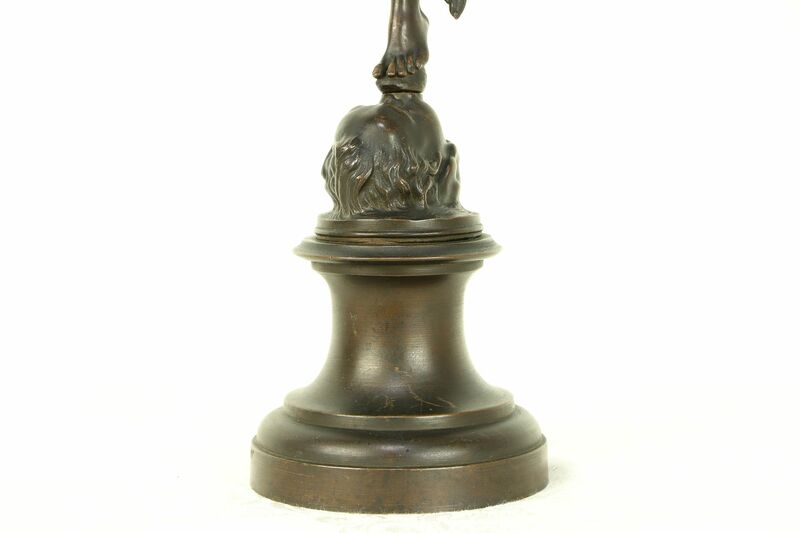 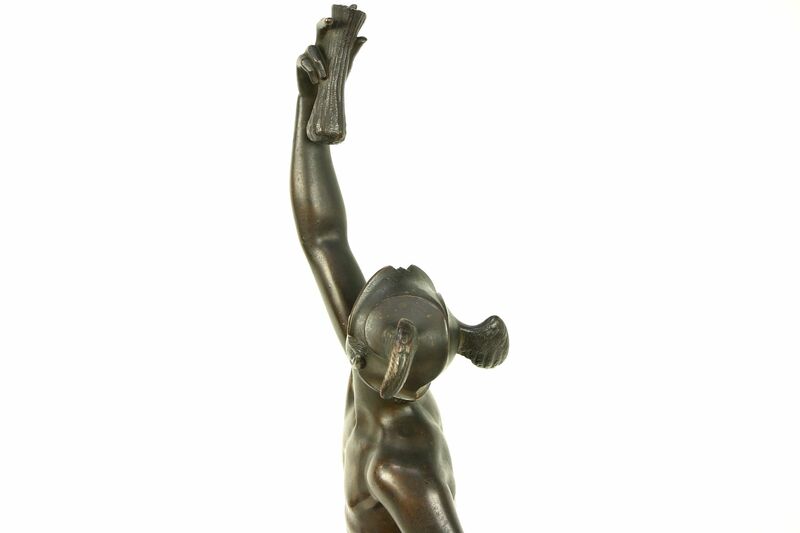 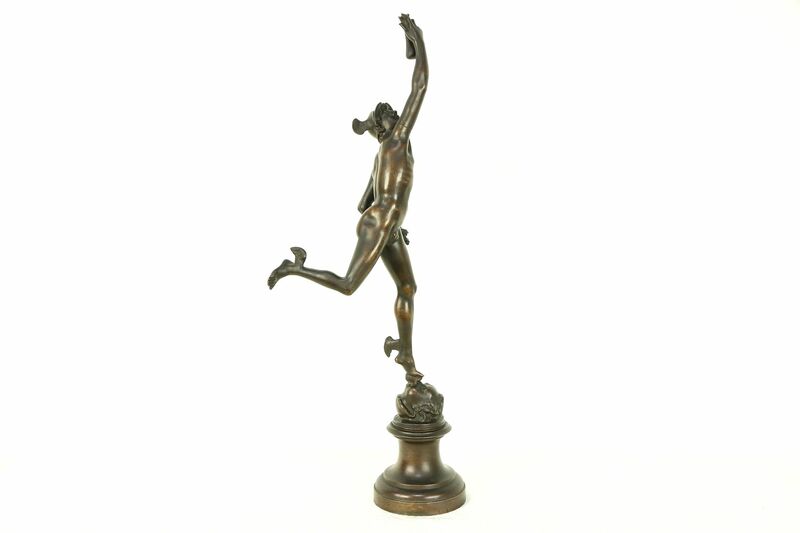 This bronze sculpture of Mercury, the Roman messenger of the gods and god of commerce and travelers, is from about 1880, after the famous Renaissance statue in Florence, Italy. 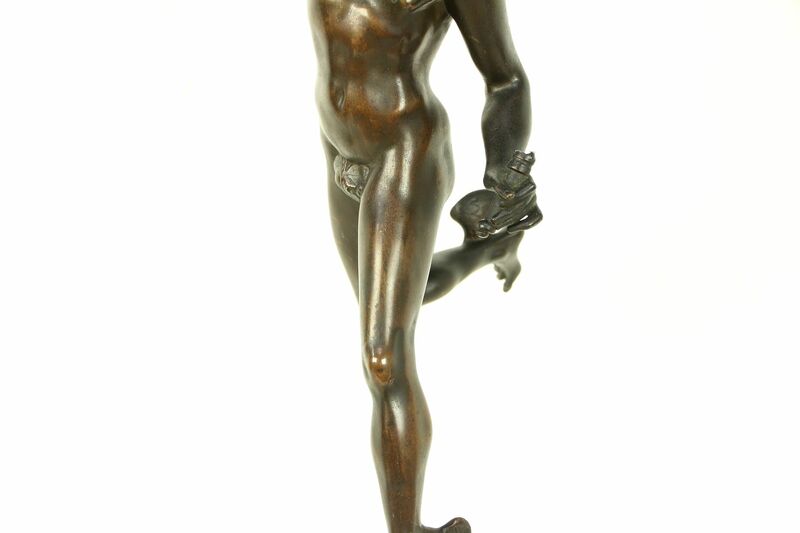 The renowned sculptor of the original, Giovanni de Giambologna lived 1529-1608. 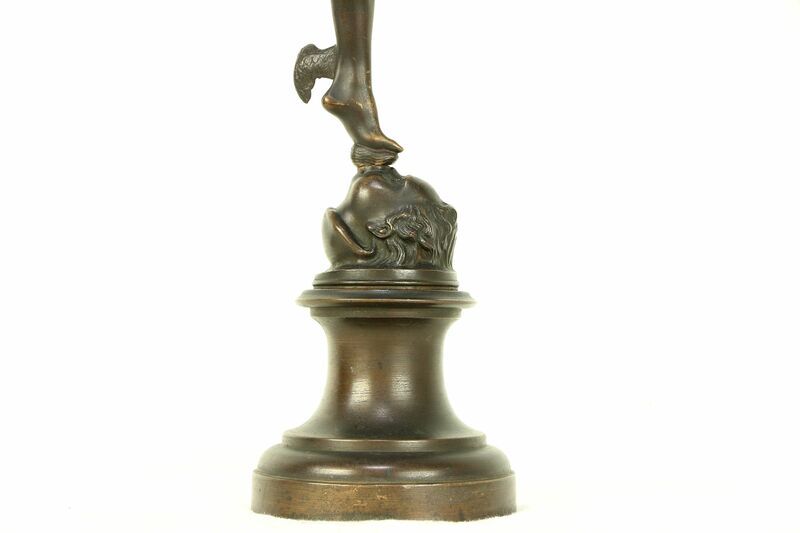 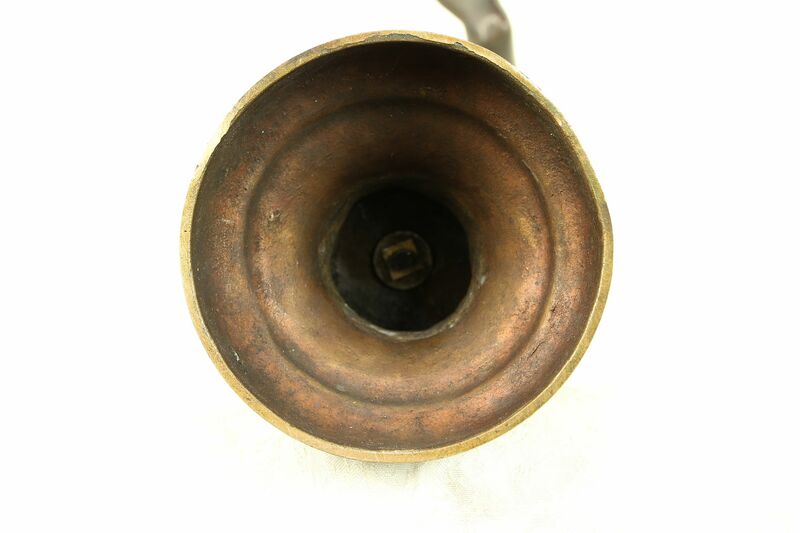 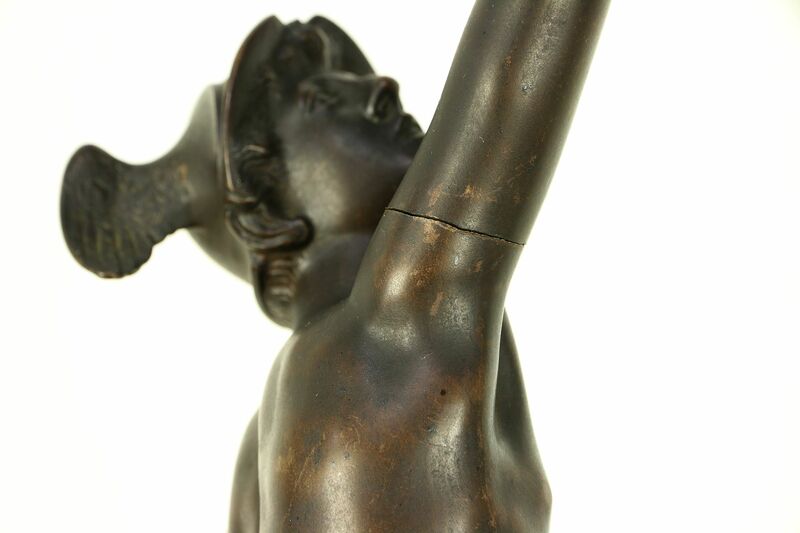 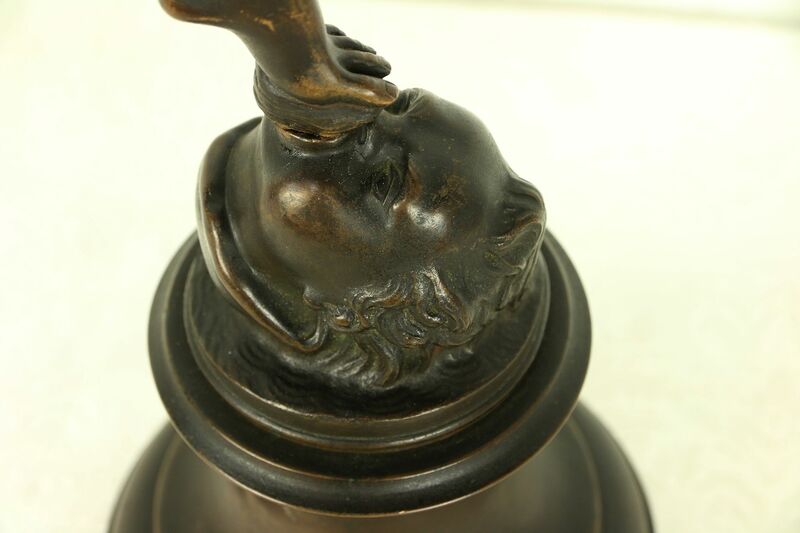 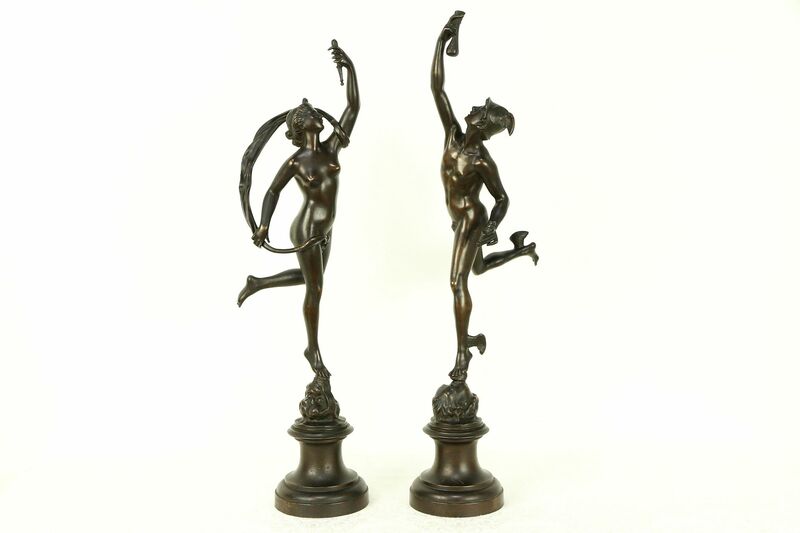 This antique work of art has a rich original deep chocolate patina. 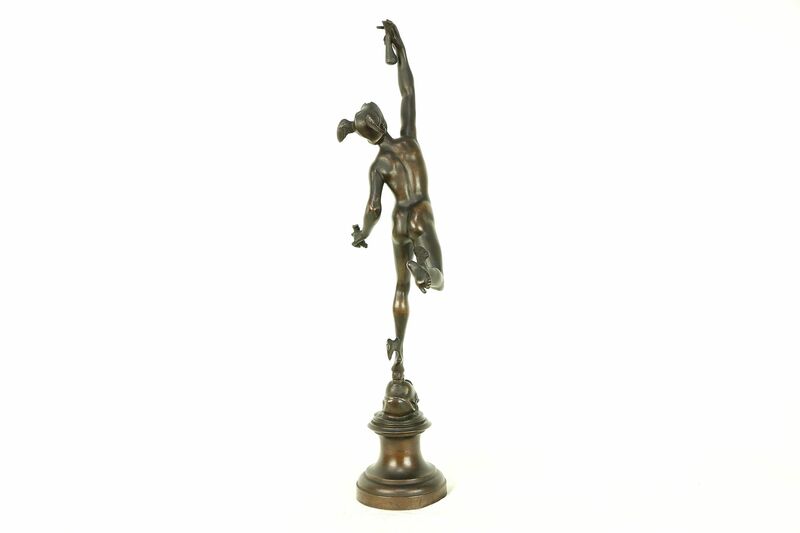 The movement and grace of the figure is unforgettable. 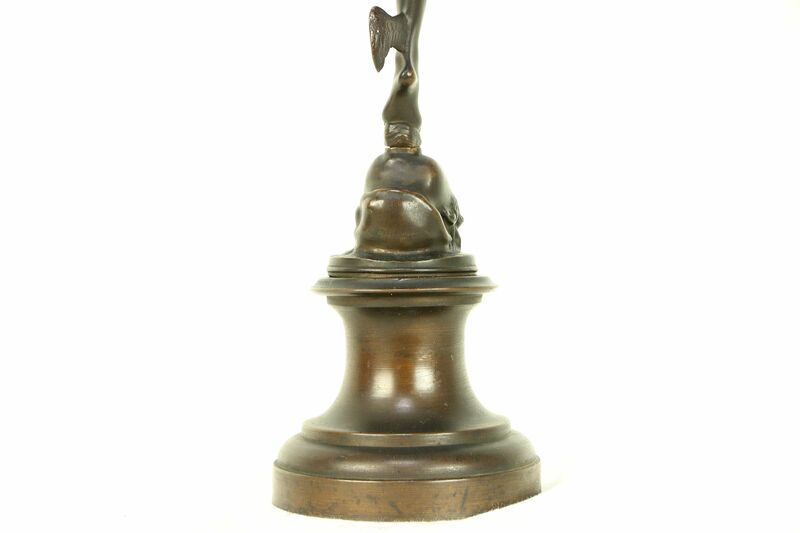 Size is 5" x 7" and 24" tall.